Started in 2014 the Elephant Park development is a £1.5bn project that promises to transform the neighbourhood. 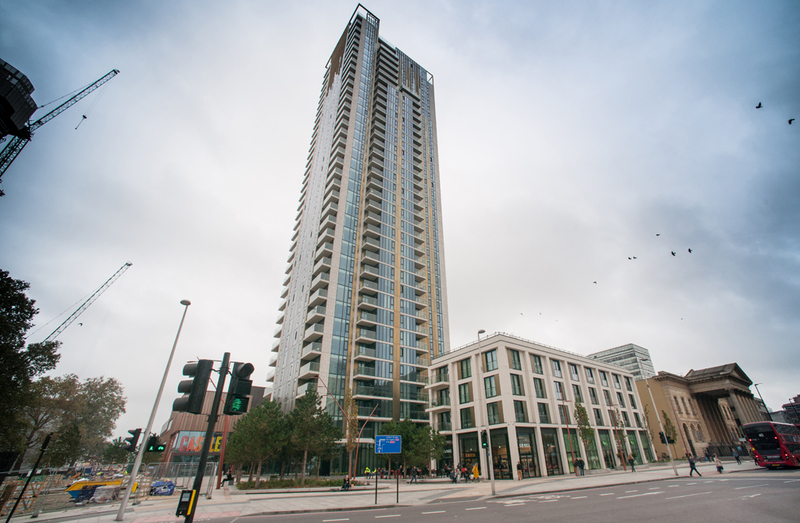 Working with Southwark Council, Lendlease aims to restore the area to one of the most well connected places to live in London by introducing 3,000 new homes, over 50 shops and a new park. The One the Elephant part of the project consists of a 37 storey tower meeting the Code for Sustainable Homes Level 4 which is a first for a building of this kind. Working with a number of clients, Kite Glass was thrilled to be part of such a large scale project. 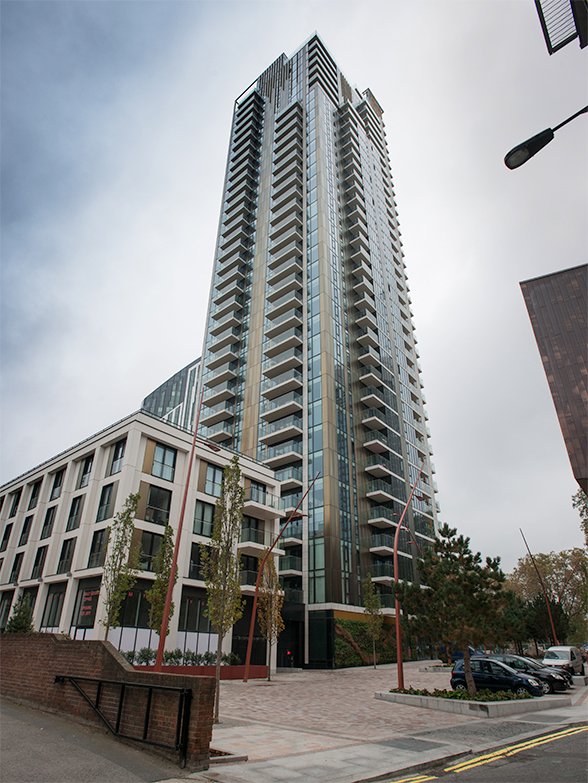 We supplied heat soaked toughened laminated glass at both 21.14mm and 31.78mm covering approximately 1500m2. Kite Glass carried out a variety of structural tests using our in house facilities which included line load and impact resistant to ensure that not just the glass could handle the design loads but the aluminium track as well. A mock-up of the installation was put together for both tests which replicated the on-site fixing conditions.